Bitcoin (BTC) is a digital currency first described in a 2008 paper by pseudonymous developer Satoshi Nakamoto, who called it a peer-to-peer, electronic cash system. Bitcoin creation and transfer is based on an open source cryptographic protocol and is not managed by any central authority. Each bitcoin is subdivided down to eight decimal places, forming 100 million smaller units called satoshis. Bitcoins can be transferred through a computer or smartphone without an intermediate financial institution. The processing of Bitcoin transactions is secured by servers called Bitcoin miners. These servers communicate over an internet-based network and confirm transactions by adding them to a ledger which is updated and archived periodically. In addition to archiving transactions each new ledger update creates some newly-minted bitcoins. The number of new bitcoins created in each update is halved every 4 years until the year 2140 when this number will round down to zero. At that time no more bitcoins will be added into circulation and the total number of bitcoins will have reached a maximum of 21 million. Bitcoin is accepted in trade by merchants and individuals in many parts of the world. Similar to other currencies, illicit drug and gambling transactions constitute some of its commercial usage. 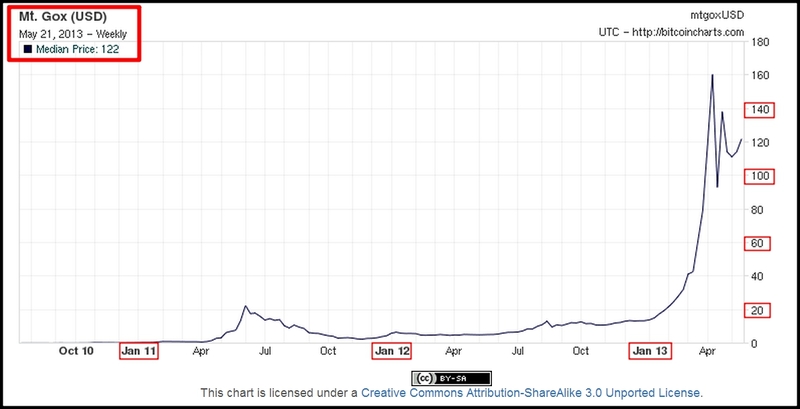 Although Bitcoin is promoted as a digital currency, many commentators have criticized Bitcoin’s volatile exchange rate, relatively inflexible supply, and minimal use in trade. 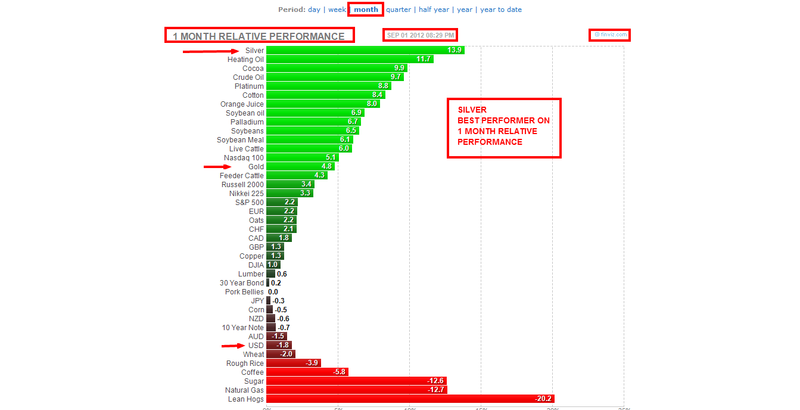 Silver Futures – The Big Money is back!! Once again, in order to form a red or green candle (bullish or bearish) people need to place trades ($$$), and a candle this Size is always, i repeat always , a very bullish signal. Now, this is a weekly chart so it will take a few weeks to continue its trend upwards to test the “neckline” or the last “historic highs” @$49.8 an ounce. 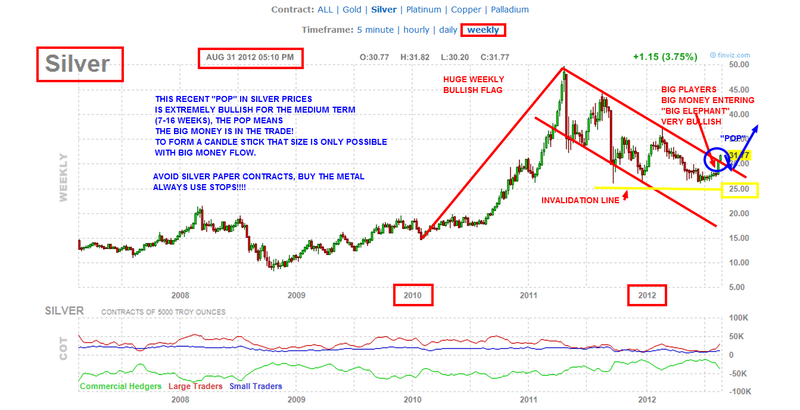 With its appropriate corrections and “bear traps” silver has formed a support area and rocketed from there. Prepare to see more “fireworks” to the upside. As always this is NO advice, only my technical analysis /commentary, when you trade always place stops! Liv-ex’s family of indices are widely acknowledged to be the fine wine industry’s leading benchmarks. All of the indices are calculated using the Liv-ex Mid Price. Declared the “fine wine industry’s leading benchmark” by Reuters, the Liv-ex Fine Wine 100 Index represents the price movement of 100 of the most sought-after fine wines for which there is a strong secondary market. The index is calculated monthly. The Liv-ex Fine Wine 100 Index is the industry’s leading benchmark. It represents the price movement of 100 of the most sought-after fine wines for which there is a strong secondary market and is calculated monthly. The majority of the index consists of Bordeaux wines – a reflection of the overall market – although wines from Burgundy, the Rhone, Champagne and Italy are also included. 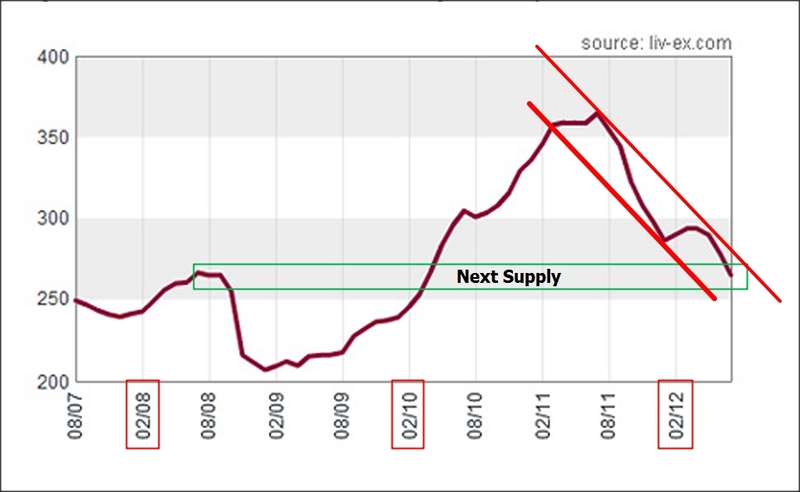 The index is calculated using Liv-ex Mid Prices and is then weighted to account for original production levels and increasing scarcity as the wine ages. As such, the index is designed to give each wine a weighting that corresponds with its impact on the overall market. An asset or item that is purchased with the hope that it will generate income or appreciate in the future. In an economic sense, an investment is the purchase of goods that are not consumed today but are used in the future to create wealth. In finance, an investment is a monetary asset purchased with the idea that the asset will provide income in the future or appreciate and be sold at a higher price. Aggressive investors invest in stock markets and business ventures. This type of investment can involve the act of investing in a real estate, renovating it and renting it out. Aggressive investment involves a greater amount of risk. The value of the business assets is determined after which they are used to generate revenue. Business assets can be physical, financial or intangible. Physical assets include property and machinery that is in possession of the business. Financial assets include the liquid assets of a business and the company stocks and bonds. Conservative investors invest in cash. They put their money in investment accounts like savings, mutual funds and certificates of deposit. In context of economics, investment is the per unit time production of goods, which are not consumed and are rather used for production in future. Tangibles like property, as also the intangibles such as the costs incurred in on-the-job trainings are included in this type of investment. Income and interest rates form the determinants of an investment decision. A growth in income boosts investments while a rise in the rates of interest is not conducive to greater investments as it makes borrowing money costlier. Investments in finance refer to the cost of capital invested in buying financial assets and securities. They include the investments made in shares, bonds and equities. Investments in the finance sector are made through banks, insurance companies and other investment schemes. Learn all about the different types of insurance. When a company from one country invests in another country, it is known as foreign direct investment. This investment is generally of the physical form with intent to build a factory in another country. Investments in gold can be done through ownership or by means of certificates and shares. Here is the list of the types of investing in gold. Bar: Buying gold bars in one of the very traditional ways of investing in gold. It is practiced in Argentina, Austria and Switzerland where gold bars can be purchased from the major banks of these nations. Coins: Coins, which are priced according to their weight, are purchased in this form of investment in gold. The British gold sovereign and the Swiss Vreneli are some examples of bullion coins. Accounts: Swiss banks provide the customers with gold accounts, which can deal in gold transactions. Gold Exchange-traded Funds: In this scheme of investing in gold, gold can be traded on major stock exchanges. Spread Betting: Firms in the UK offer spread betting in gold investments. Spread betting is about predicting the rise or fall in the prices of gold before investing in it. Investing with the Mining Companies: Trading in the shares of gold mining companies is one of the means of investing in gold. Investing in silver is similar to investing in gold. The various ways in which one can invest in silver are also same as those for gold investments. Land investment can turn out being a long-term and rewarding investment if the purchased land is developed properly. The investments made in cash and bonds and those which involve low or moderate amounts of risk, are known as moderate investments. Personal finance includes the money that is put aside on a regular basis with an aim of saving it. Mere saving of money involves only the risk arising out of devaluation of the saved amount due to inflation. However, saving money and investing it involves the investment risks like capital loss. Learn more about personal finance planning. The investments made in collectible postage stamps with intent of making profits are known as philatelic investments. Rare stamps can serve as unique pieces of art and excellent collectibles. The investors dealing in stamps have chances of benefiting from the nation’s growing wealth. Know more about philatelic investment. Investment in real estate is the one made in purchasing property. Property is purchased with intent of holding or leasing. Residential real estate investment involves the process of buying other people’s houses while the investment in commercial real estate involves the purchase of a large property that can be rented to a company. Commercial real estate investment is riskier than that in residential real estate. This investment strategy aims at fetching financial gains for a social cause. Investors prefer investing in practices that promote human rights, equality, environmental awareness and other social concerns. There is a rising interest among the masses for investing in stock markets. Stock investments can prove to be rewarding if share trading is done wisely. It involves buying securities whose shares seem under-priced. Investment is after all the means to channelize money in order to secure one’s future. I am sure you would want to consult an efficient investment adviser for a quick guidance on investments.